Manchester United are said to be chasing their cross-town rivals’ youth star Jadon Sancho, according to Manchester Evening News. The Manchester City starlet’s future has been up in the air in recent weeks, and he appears to be keen on a move away from the club this summer. 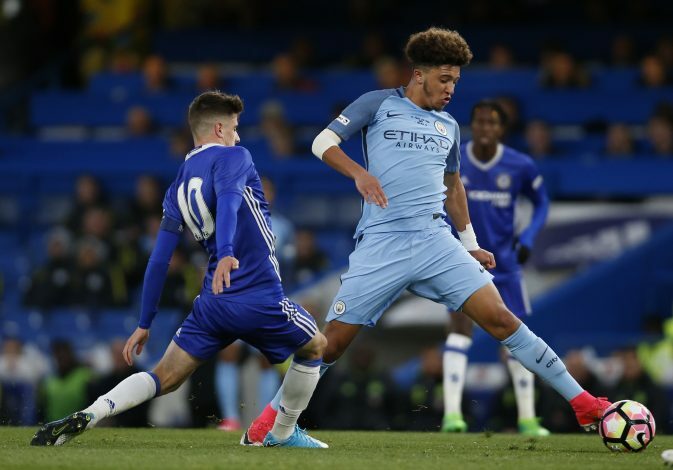 The Citizens are aware of his potential, and were keen to tie him down to a new contract, but Sancho turned down the offer on the table, as he is said to be unsure if he will get a chance to make a breakthrough into the first team. 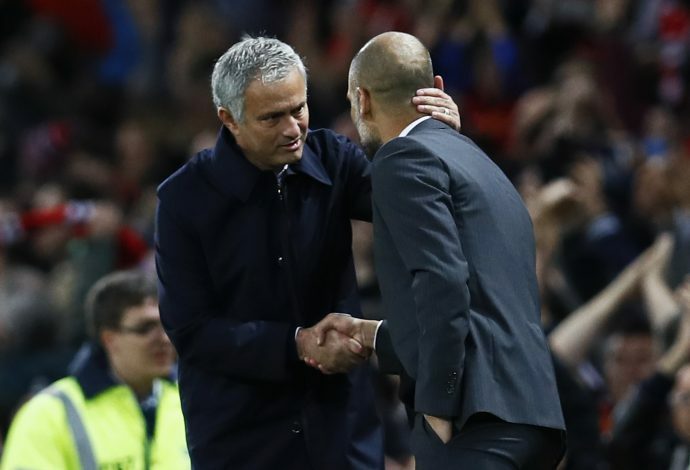 The situation wasn’t helped by the fact that he was left at home while the likes of Phil Foden and Brahim Diaz were included in Pep Guardiola’s pre-season squad that toured the United States. It may just have been a protective measure from Guardiola though, considering the fact that Sancho was involved in England’s U-17 European Championship campaign in Croatia, where he was named player of the tournament. After keeping a close eye on developments related to the issue, United are now ready to pounce. M.E.N also reported that Sancho is willing to spend a year abroad – probably at Red Bull Leipzig in the Bundesliga – to ensure United aren’t made to pay a compensation fee to City. According to Premier League rules, a player on a youth contract moving to another Premier League club would mean the buying club would have to pay training compensation.